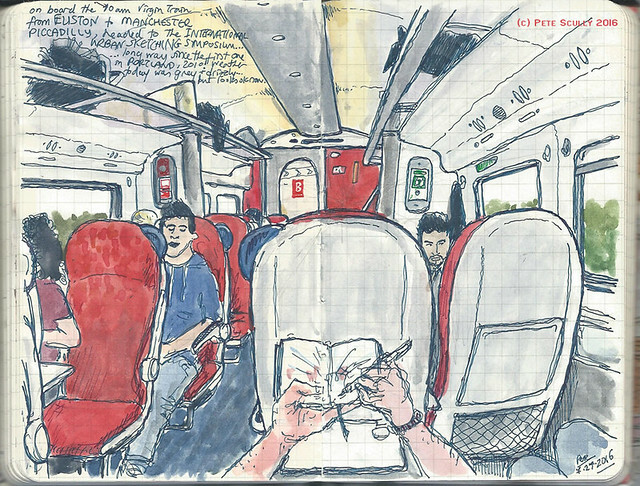 I love that you felt inspired to put pen to paper while squashed on a plane and a train. I would never think to find that aspect of travel inspirational. 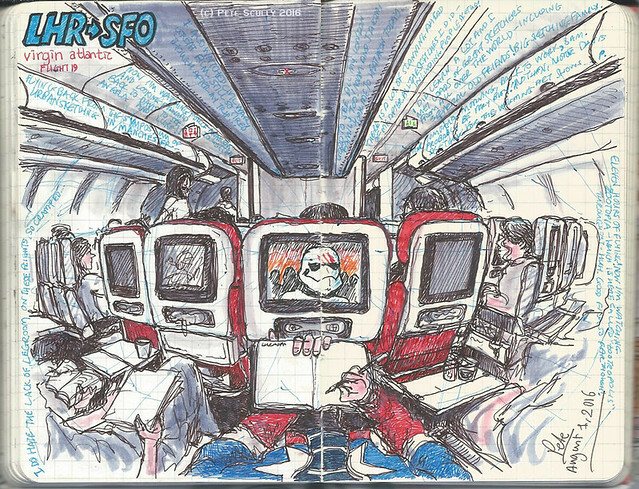 The leg room on planes is getting ridiculous, isn’t it? I’m a shortie but even my wee stumpy limbs are cramped in cattle class. I cannot imagine how painful it must be for somebody with lanky legs. I’m average height and it’s very cramped now. 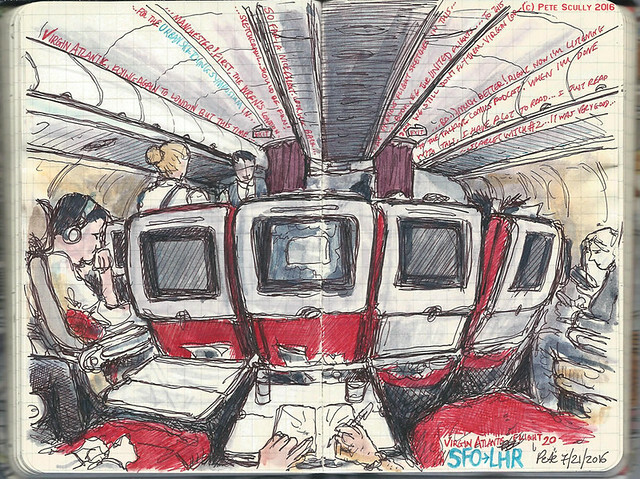 As for drawing, I got a bit bored of the inflight sketch a few years ago, but now I love it again, it’s an opportunity to practice those curving interior perspectives whiling away the hours of boredom.